Budget Car Hire is a proud partner to some of South Africa’s best and oldest running events. To book a vehicle for any of the below events, simply click on the relevant partner logo. The Comrades Marathon is an ultramarathon of approximately 89 km which is run annually in the Kwa- Zulu Natal between the cities of Durban and Pietermaritzburg. It is the world's largest and oldest ultramarathon race. The direction of the race alternates each year between the "up" run (87 km) starting from Durban and the "down" run (89 km) starting from Pietermaritzburg. Soweto is the biggest township in South Africa and is fast becoming a popular stop for tourists visiting the country. Known for its rich history and diverse culture, the township now boasts a world-class marathon too. Soweto itself is a world-famous name and has played a hugely important role in South Africa's modern history. The Old Mutual Soweto Marathon honours this heritage of Soweto by taking runners past the iconic landmarks of the area. ﻿The Wings for Life World Run is a running competition held on the first weekend of May since 2014 to collect funds for the not-for-profit foundation Wings for Life. The entry fee goes completely to the foundation. The Wings for Life World Run is particular in that participants don't have to run a specific distance like in comparable competitions. A car rides on the track half an hour after the start. Overtaken participants are eliminated until just one, the winner, remains. 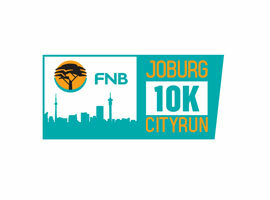 Budget Car Hire is a proud partner to FNB’s Running Series - FNB Joburg 10K CITYRUN celebrates the sizzling city that is the beating heart and soul of South Africa. In recent years downtown Joburg has been revitalised and now it’s your turn to play a role in drawing attention to this historical, heavyweight African city. Take in the sights and scenes of one the most beautiful cities in the world . 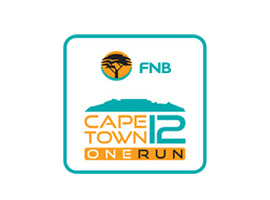 The FNB Cape Town 12 ONERUN celebrates everything Cape Town – the vibe, the beautiful city, the people. 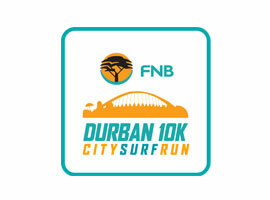 Sun, sea and surf - enjoy Durban's warm climate and friendly people by taking part in The FNB Durban 10K city run. The Old Mutual Om die Dam Ultra Marathon is the largest inland ultra-marathon in South Africa, offering a 50km ultra marathon, a 21km half-marathon, a 10km route and a 5km fun run. Due to the races scenic route – via the Hartbeespoort Dam – and family appeal, it attracts over 10 000 participants every year and is consistently voted as one of the top national races with the ultra being the flagship event.